He began his career in the 1909-1910 season at the Theater in Olmütz (Olomouc) and then sang in the 1910-1911 season at the Graz Theater. At the Opernhaus in Cologne, where he appeared from 1911 to 1923, he had a huge success. Here he sang on 19. 11. 1920 in the premiere of the opera "Die tote Stadt" as Frank. 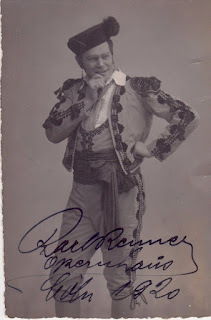 In 1923 he was engaged by the Wiener Staatsoper, where he performed with tremendous success. In the 1925-1926 season he sang at the Salzburg festival in "Figaros Hochzeit" as well as in "Ariadne auf Naxos" by R. Strauss. In 1926 he belonged to the ensemble of the Viennese première of G. Puccini’s opera ‘’Turandot’’. 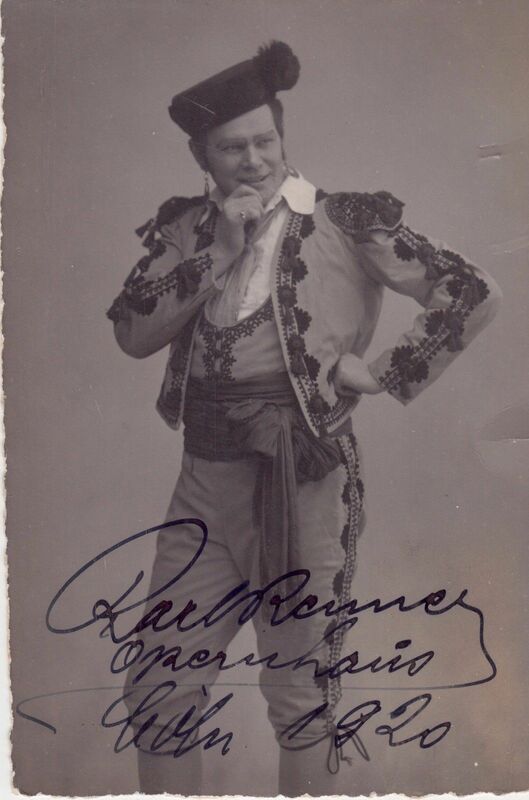 His repertoire included Escamillo in ‘’Carmen’’, Wolfram in ‘’Tannhäuser’’, Gunther in "Götterdämmerung", Rigoletto, Tonio in ‘’Pagliacci’’ etc.